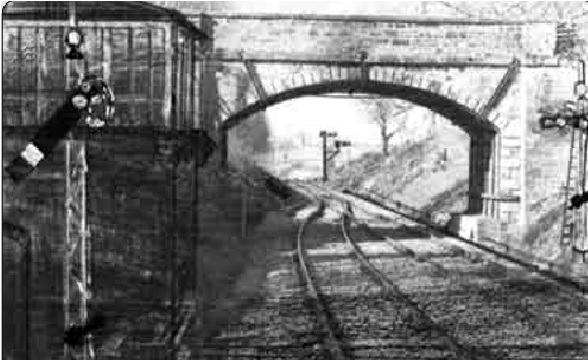 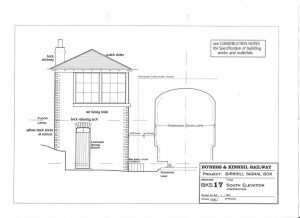 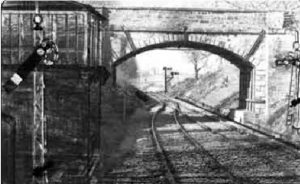 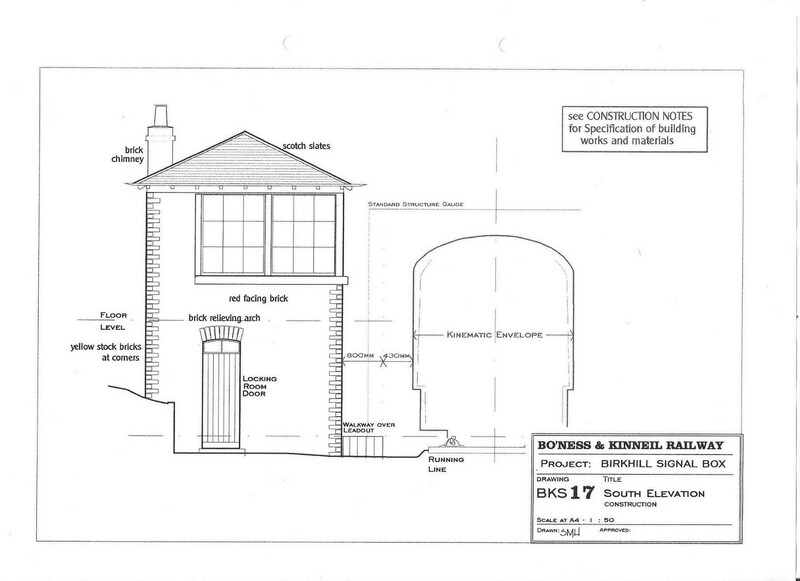 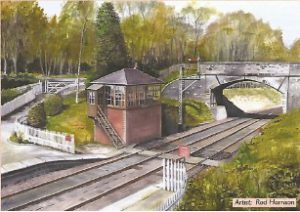 The medium to long term development plan for Birkhill has always been to make it into a Signalled Passing Station allowing the railway to demonstrate the procedure for dealing with two trains on the line whilst evoking the atmosphere of a typical Caledonian Railway crossing place on a single track branch line. 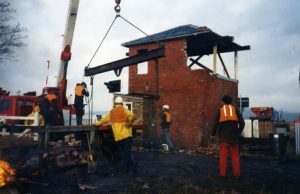 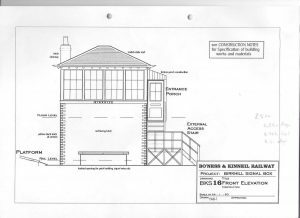 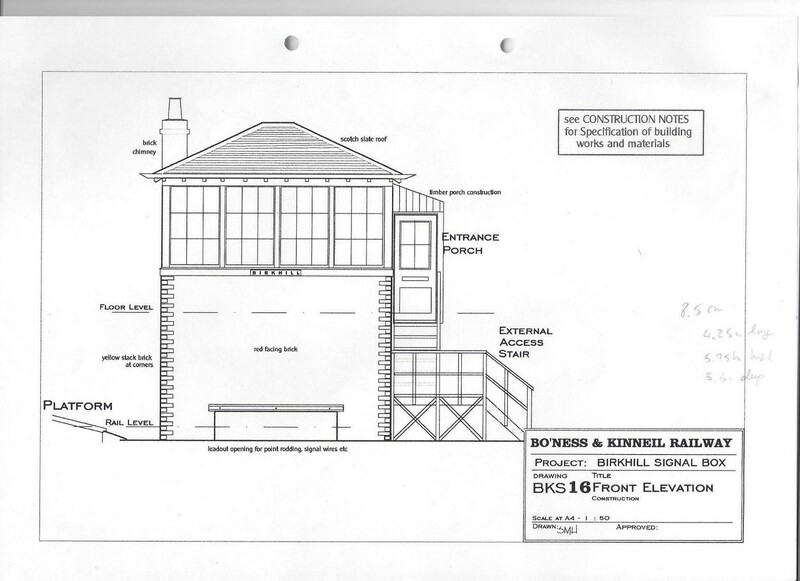 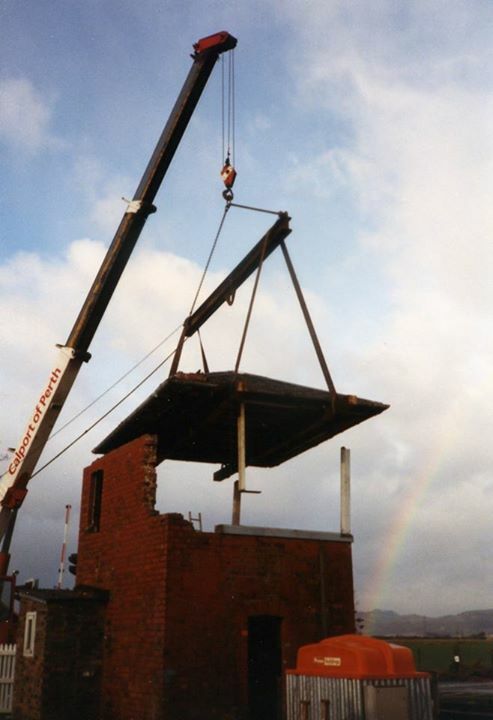 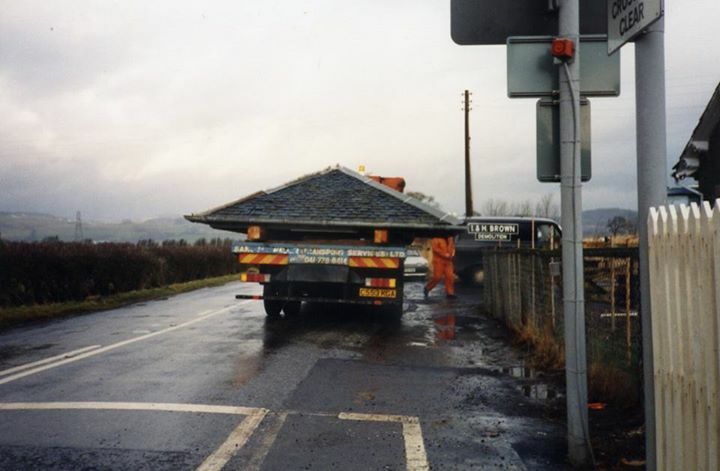 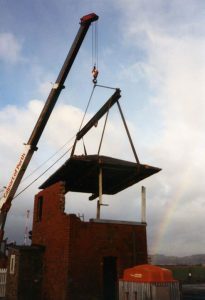 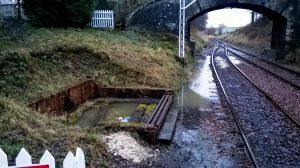 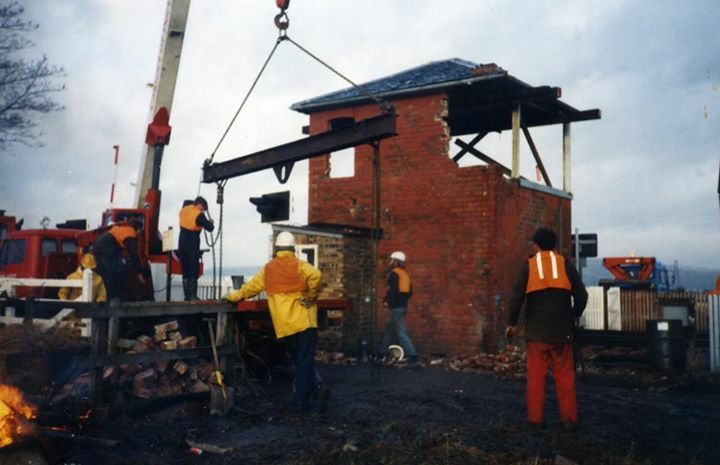 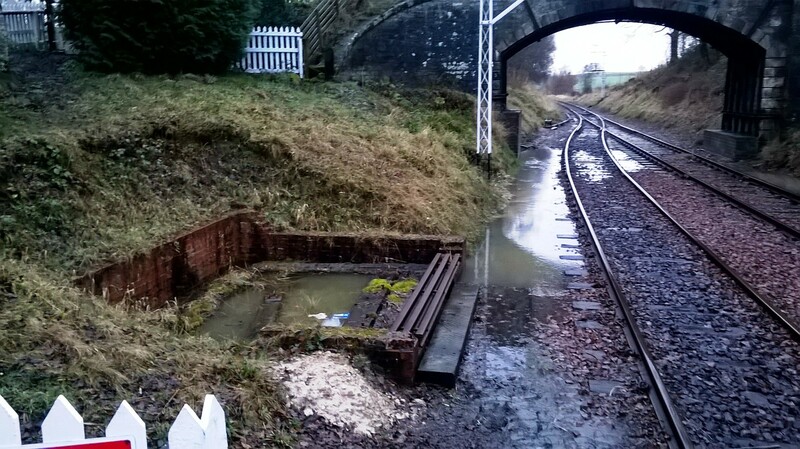 It was the intent to re-use as much as possible of the recovered signal box from Inchture Station on the Perth & Dundee Railway, we believe from the 1980’s, most of the parts including the roof are stored within the SRPS storage complex. 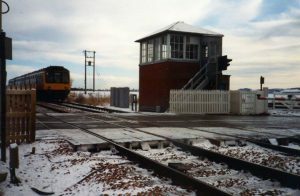 Currently, signalling posts at either end of the station loop have been erected, and the foundations have been cleared ready for the reconstruction phase of which drawings of the signal box & costings have been produced, however, with the construction of the second platform well underway and the footbridge from west Calder now repainted and stored in Bo’ness awaiting installation, there is a renewed drive to complete the building of a typical CR Northern Division Signal box with the announcement that this years Winter Appeal 2018 is for Signal box, it is hoped that the project will finally be achieved.